what is normal? | a normal star is hot & massive – this one has a bonus neutron co-star! 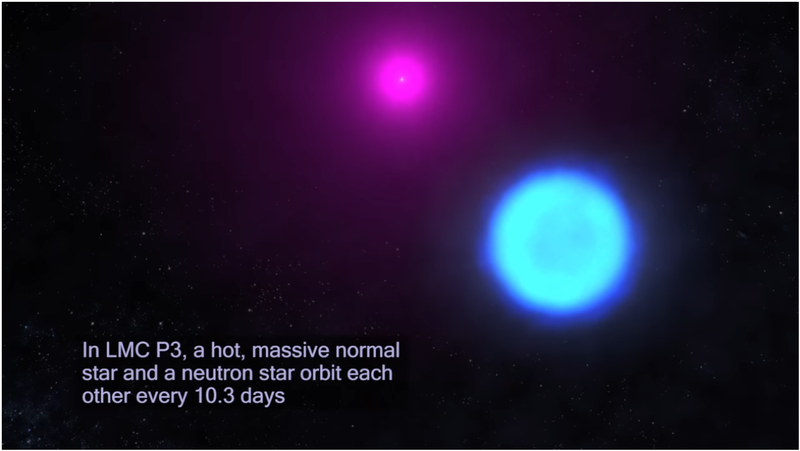 a normal star is hot & massive – this one has a bonus neutron co-star! Using data from NASA’s Fermi Gamma-ray Space Telescope and other facilities, scientists have found the first gamma-ray binary in another galaxy and the most luminous one ever seen. The dual-star system, dubbed LMC P3, contains a massive star and a crushed stellar core that interact to produce a cyclic flood of gamma rays, the highest-energy form of light.